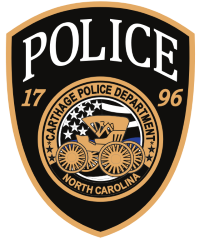 The Carthage Police Department (CPD) is providing an online, interactive crime mapping program that will allow residents and visitors to input an address and view crime activity for their requested area. The RAIDS Online site is free to the public and includes optional email updates and a phone APP (search "Raids Online Mobile" in the APP store). In order to protect victims of certain crimes and the security of pending investigations, Bair Analytics has not been given access to all crime data. Therefore, the data used on RAIDS Online may be incomplete and should only be used as an informational tool. The base maps used by Bair Analytics (makers of raidsonline.com) can be dated or contain errors. Some addresses, especially new neighborhoods, may not be available. The CPD has no control over the RAIDS Online website and their mapping tools. Although CPD provides raw data to RAIDS Online, CPD does not control how it is interpreted in the analytical section of the website. The charts and graphs depicted on the site are created and maintained by Bair Analytics.